The streetscape of London’s historic square mile has been evolving for centuries, but the City’s busy commercial heart still boasts an extensive network of narrow passages and alleyways, secret squares and half-hidden courtyards. Most are ancient survivors dating back to medieval times or earlier, their colourful and evocative names recalling old taverns, trades and City traditions. 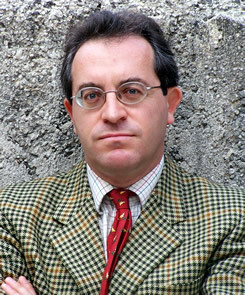 Others commemorate individuals associated with the seemingly unstoppable rise which has seen the area around an old Roman wharf become the global financial powerhouse that London is today. Maintaining that position means that few of these old rights of way have escaped the attention of developers, but as this beautifully illustrated book shows their survival rate has been surprisingly good. Hidden behind the glass, steel and stone of the banks and big business, these fascinating, picturesque and precious survivors continue to bear witness to nearly 2,000 years of British history. "David Long’s intriguing alphabetical survey – an attempt to impose order on chaos – lists hundreds of little courtyards and alleys, many almost forgotten among the banks and businesses." "The best possible start for anyone who wishes to get off the beaten track and under the skin of the hidden city that is modern-day London." 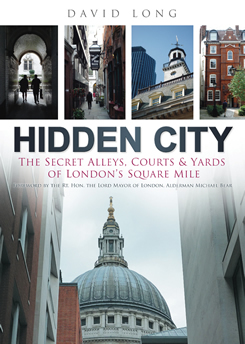 "David Long uncovers the extensive network of narrow passages and alleyways, secret squares and half-hidden courts, revealing the fascinating history of the city. Perfect for those interested in reading up on London's history and architecture." "It’s easy to get lost in this well-researched and compelling feat of superhyperlocal history."